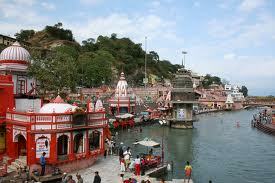 Haridwar is one of the holiest places in India and has been mentioned in all the ancient holy texts. There is a lot to take in and experience while in this spiritual place. There are several options for visiting places in Haridwar and among the most popular are the banks of the Ganges where for centuries there is a ritual held every morning and evening where thousands of lamps are lit and floated on the river giving it a truly ethereal look. No matter what a visitors religious beliefs, it is impossible to come away from Haridwar without a sense of peace. There are many important temples to visit here and Haridwar is also the gateway to four other important centers of pilgrimage. The Muslims too have an important dargah a few kms away from Haridwar. There is the Rajaji National Park here which has a large number of animals and birds and is well worth a visit. The massive Kumbh Mela that is held here every 12 years is the largest gathering of people for any religious event in the world and is an unforgettable sight to behold. The fertile soil and many fresh water streams have made this a natural store house for herbal medicinal plants. This is an important center for Aurvedic medicine and there are many resorts that have a wide variety of herbal treatments. Stay at a Heritage hotel, Haridwar can be enjoyed for its spiritual and natural beauty and is an ideal place to rejuvenate tired minds and bodies.